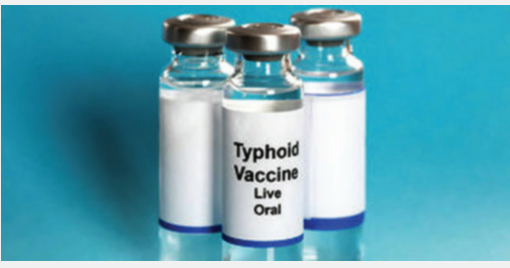 Scientists at Oxford University, United Kingdom, have said that the new conjugate vaccine against typhoid has been proved to be safe and effective in preventing the disease, and can be used to protect both adults and children. The researchers in a study published in The Lancet, said the first clinical trial showed that TVC was s well tolerated and had significant impact on the disease incidence in typhoid-endemic areas that introduced the vaccine. The lead researcher and Professor of Paediatric Infection and Immunity at the university, and Director of the Oxford Vaccine Group, Andrew Pollard, said this was the first time a typhoid vaccine would be effective in children under the age of two. Pollard said, “This new vaccine could be a real game changer in tackling a disease that disproportionately affects both poor people and children. For the first time, we will be able to offer protection to children under two years of age, which will enable us to stem the tide of the disease in the countries where it claims the most lives. “If we are going to make serious headway in tackling typhoid, we need to dramatically reduce the number of people suffering from and carrying the disease globally, which will in turn lead to fewer people being at risk of encountering the infection. The researchers tested the vaccine at Oxford University using a controlled human infection model, which involved asking around 100 participants, many of whom were university students, to consume a drink containing the bacteria. Human infection models have been used for hundreds of years to test vaccines, and are particularly useful in studying diseases for which no suitable animal model exists. The vaccine, called Typbar-TCVR,has , however , been submitted by Bharat Biotech International Limited to the World Health Organisation for prequalification. If approved, the vaccine can be procured by the United Nations Children Fund for immunisation programmes in low resource countries. The disease is associated with inadequate sanitation and contaminated drinking water, and common symptoms include fever, stomach pain, headache and constipation or diarrhoea. The trial was funded by a grant from the Bill and Melinda Gates Foundation. The Director of the Enteric and Diarrhoeal Diseases team at the Bill & Melinda Gates Foundation, said typhoid was killing many in low resource countries and the result could help nip it in the bud. “Many people think typhoid is a disease of the past, yet it still sickens millions of people annually, particularly children. This is a stain on global health progress when advances have been made against many other diseases.